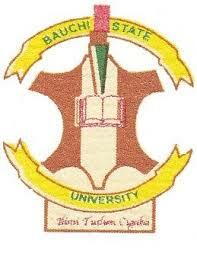 Applications for admission into the 2017/2018 Academic Session for the Bauchi State University Gadau (BASUG) Part Time Degree Programs are hereby invited from suitably qualified candidates. The BASUG part time degree will run for a period of five (5) to (6) years. All lectures for the part time studies will be conducted between weekends or from Fridays, Saturdays and sometimes Sundays. Further, the program may cover vacations. All intending applicants who may not have had the opportunity to be admitted into the regular program will now have the opportunity to earn their various degrees. Additionally, Working class candidates can have a golden opportunity to earn a university degree, if they avail themselves to grab this opportunity. Read Also: Bauchi State University Part-Time Degree School Fees – 2017/18. BASUG Part-Time Degree Programme Benefits. BASUG Part-Time Degree Admission Requirements. WAEC/NECO Senior Secondary School Certificate (SSSC), General Certificate of Education Ordinary Level (GCE O’ Level), National Technical Certificate/National Business Certificate with Credits in five (5) relevant subjects obtained at not more than two sittings. A credit in O’ Level English Language is required for all courses. Nigeria Certificate in Education (NCE) with at least Merit in two core/Teaching subjects, GCE ‘A’ Level, OND/HND in relevant areas with at least Lower Credit or Academic Diploma from recognized Universities are required in addition to (A) above. BASUG Part-Time Degree – Available Courses. How to Apply for Bauchi State University Part-Time Degree Admission. Online Application Forms are now available for a fee of Five Thousand Naira Only (₦5,000) to be paid into the following University’s Sky Bank Account. Visit the University’s Website through the link below to fill the Online Application Form using the Scratch Card Pin obtained from the Bank.